Review Snap Moto Gamepad, is it worth buying instead of a normal joystick? The Motorola sent some snaps to analyze, one was the Gamepad. Launched in 2017, Gamepad arrived on the second generation of Motorola snaps. It is an option for those who enjoy games on the smartphone. Recalling that the snaps are only for Motorola Z-line smartphones . The compatibility is very good, just “plug” the phone into the gamepad that automatically the two talk. The design of the Gamepad is to make the smartphone a console, similar to the existing portable consoles, coupled with having a very large range of games on Google Play. The idea seems quite promising, but is it worth buying the snap? Be carefree, because the Gamepad has a battery of its own. They are 1035 mAh, with the promise of 8 hours of play without using the battery of the smartphone . In our tests, we obviously could not get the intermittent 8 hours playing, but drums were never a problem with him. 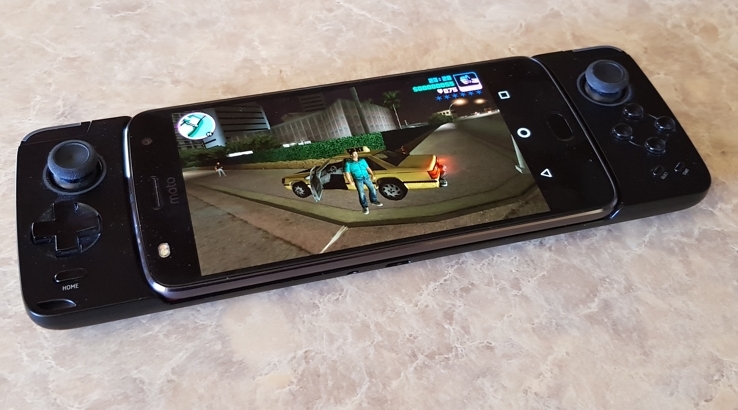 The times we load the smartphone, a Moto Z2 Force , we leave the phone plugged into the Gamepad. It completes the charge on the cell phone and then loads the pad. 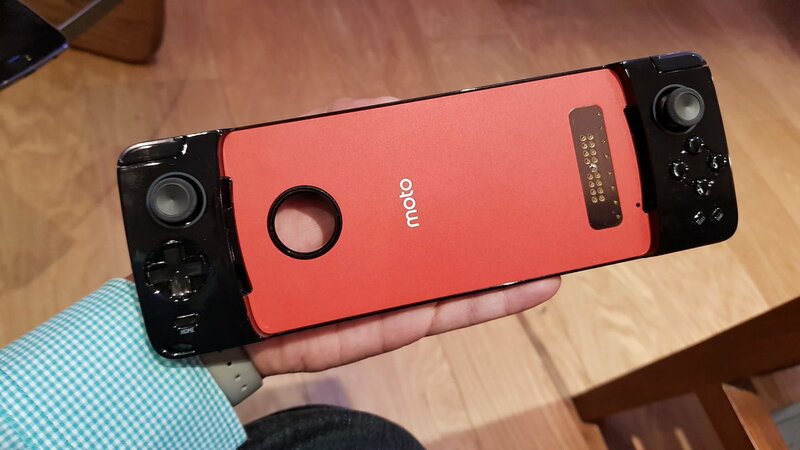 Remember that Moto Gamepad does not power the smartphone. NOTE: No human being was injured during the recordings. Max has cats. Another point I did not like much about is the left and right front buttons. They are small and only work with one finger. Unlike traditional joysticks, where you place four fingers on both top and bottom. Analog directional are excellent. They really work well, are ergonomic, and the grooves hold the finger well. The X, Y, B, and A buttons together with the digital directional key must be pressed down to work. The control also has Home button, which is the home button of Android, as well as a Select and another Start. These can be configured and used within games. Do not be deceived. Not all games respond to commands. It is necessary that the game is made to support joysticks. Motorola has reserved an exclusive game application that includes the Gamepad, the Moto Game Explorer . I can say that I found some games within the app that no longer work, but for the most part it will be possible to play with the pad. It has a USB-type C to charge the Gamepad, and a P2 output for headphones. Is Moto Gamepad Worth Buying? At the price of R $ 799, the snap uses the power of connection to smartphones of the Z line as a basic feature. No need for pairing, bluetooth or any other technology, Moto Gamepad is an accessory that at a price is not worth buying. A bluetooth control you find for less than $ 100. There are models that come with a clip to dock the smartphone. 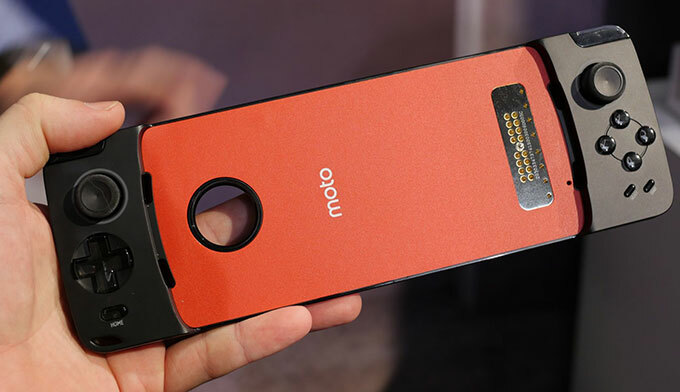 If you do not have a Moto Z, then there’s more to it.